The Prairie Power, Inc. owned Shelby Solar Farm became operational in the fall of 2015. Cooperative members can now enjoy participating in solar renewable energy without the risks, hassles and costs of having solar panels on their roofs. 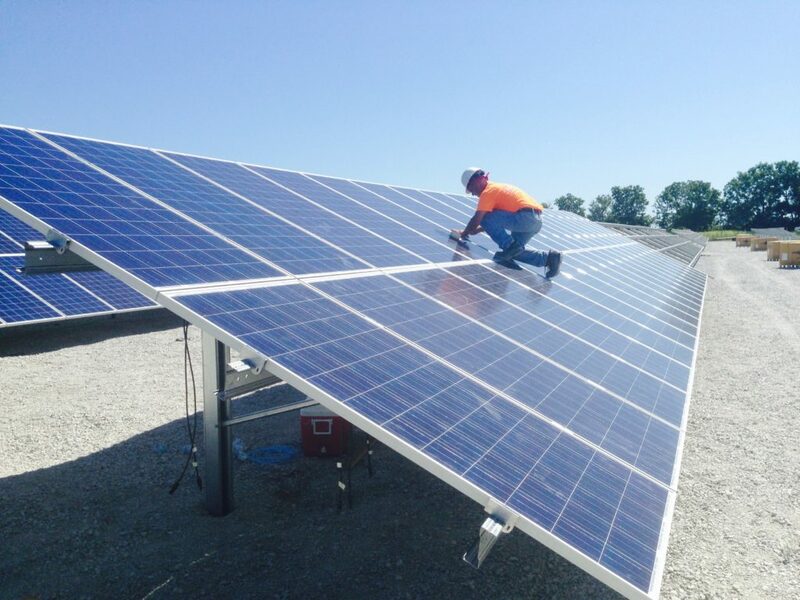 Prairie Power, Inc. (PPI), an electric generation and transmission cooperative headquartered in Springfield, Illinois, is offering to its 10 member distribution cooperatives the opportunity for their member-consumers to purchase solar-generated electricity through the Bright Options Solar program. Bright Options Solar allows any member of a participating cooperative the opportunity to buy blocks of solar energy generated from two 500-kilowatt solar farms operated by PPI subsidiaries. The Shelby Solar Farm is located in Shelbyville, Illinois and the Spoon River Solar Farm is located near Astoria, Illinois. In the fall of 2015, both solar farms became operational. These two solar farms are harvesting energy from the sun to provide an opportunity for homeowners to receive some of their electricity from the sun. Under Bright Options Solar, a member agrees to purchase blocks of solar-generated energy, at an added cost, through their participating electric cooperative. There are three purchasing options available, namely blocks of 200, 400 and 600 kilowatt-hours (kWh). The added cost for a 200 kWh solar block is $12 per month; the added cost for a 400 kWh solar block is $24 per month; and the added cost for a 600 kWh solar block is $36 per month. Bright Options participants may begin purchases at any time with an automatic renewal at the beginning of each calendar year. The cost associated with each block of solar energy purchased will appear as a separate line item on the member’s electric bill and is in addition to all other normally billed charges. PPI is the supplier of wholesale electricity and electric transmission services to 10 member-owned distribution cooperatives in Illinois. PPI also obtains wind-generated electricity from Pioneer Trail wind farm located just east of Paxton, Illinois; electricity from natural gas turbines located in Alsey, Illinois; and electricity generated by Prairie State Energy Campus, a state-of-the-art coal-fired plant, located near Marissa, Illinois. To sign up for the Bright Options Solar program, call your local electric cooperative or click here and complete the enrollment form.